Special event workshops are an opportunity for Thread Den to showcase to you the brilliant patterns that you can buy from Indie Pattern Designers. Some of the pattern designers we have made in past special events have included PaperCut Patterns and Victory Patterns. 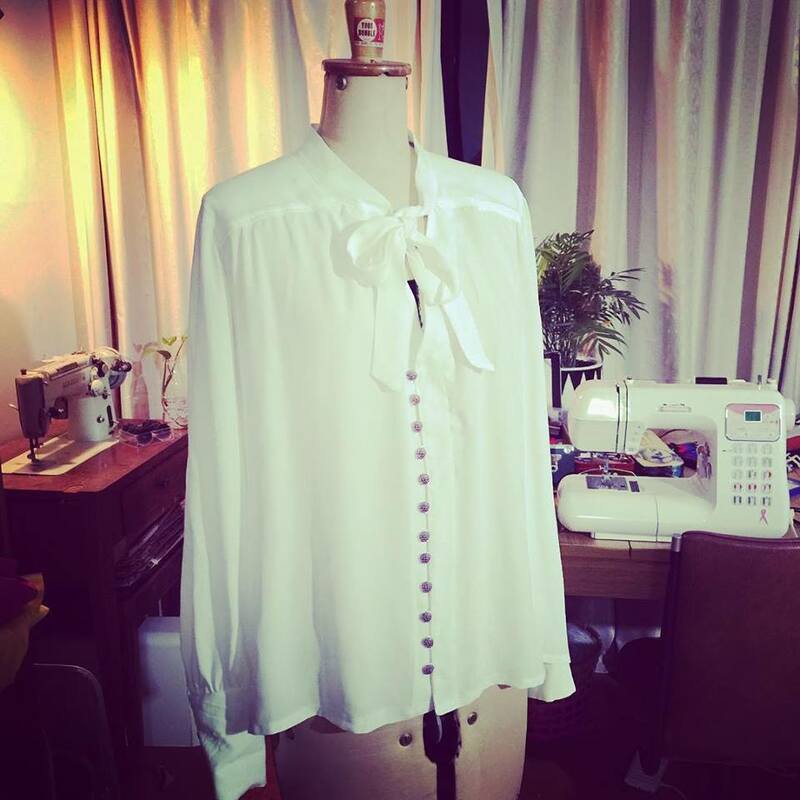 The first special event workshop for 2019 will see us make a stunning blouse from Pauline Alice Patterns. Pauline Alice Patterns started in 2013 and the brand has a feminine style with retro influence. Over 3 workshops we will make the Reina Shirt. It is soft, floaty, feminine and includes beautiful delicate details like rows and rows of rouleau loop button closures. Danielle made this Reina blouse and adores it!